Time for some groovy music! 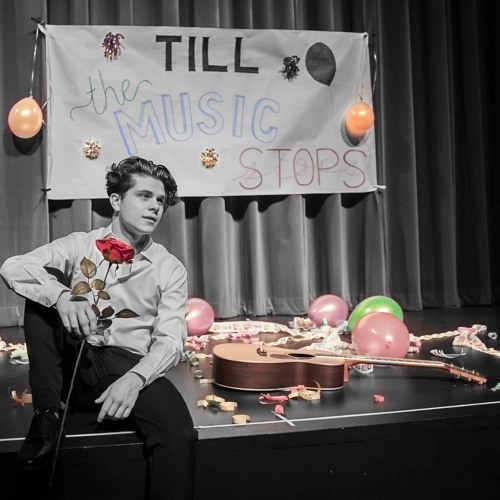 Emerging Canadian producer, singer, songwriter and multi-instrumentalist Andrew Waines has just unveiled his brand new single Till The Music Stops, an upbeat piece of pop music that got me hooked after the very first listen! I am loving his honeyed, soulful vocals and the groovy guitar licks and infectious melodies give this song somewhat of a retro atmosphere that is quite captivating. Till The Music Stops tells the story of a man that is nervous to express his feelings towards his love interest, and is surprised that the object of his desire beats him to it unexpectedly. This gem was recorded in Waines’ home studio and it's an absolutely infectious piece of pop music with a vintage/motown vibe on which Andrew showcases his gorgeous vocals and guitar skills. If you're into feel-good pop music, with a playful delivery and timeless, hook-laden arrangements, then you'll love Till The Music Stops. Stream it below! Till the Music Stops’ is about not expecting someone else to make the first move and, when they do, never wanting that feeling to fade. With ‘Till The Music Stops’ I really wanted to ensure the message was supported by instrumental tracks and the dynamics of the song, and because this song has a bit of an old soul feel to it, I was able to do things that were a little more bluesy and soulful on this track.